Raw's weekend house show loop kicked off at the James Brown Arena in Augusta, Georgia last night. Alexander retained with the Lumbar Check. Moon broke up a pin on a near fall and took out Morgan, leading to Banks reversing a move into a pin on Logan for the win. Owens countered the Glorious DDT and was going for the pop-up powerbomb, but Roode hit the Glorious DDT to pick up the win. The match was built around the heels isolating Natalya and preventing her from tagging Rousey in. 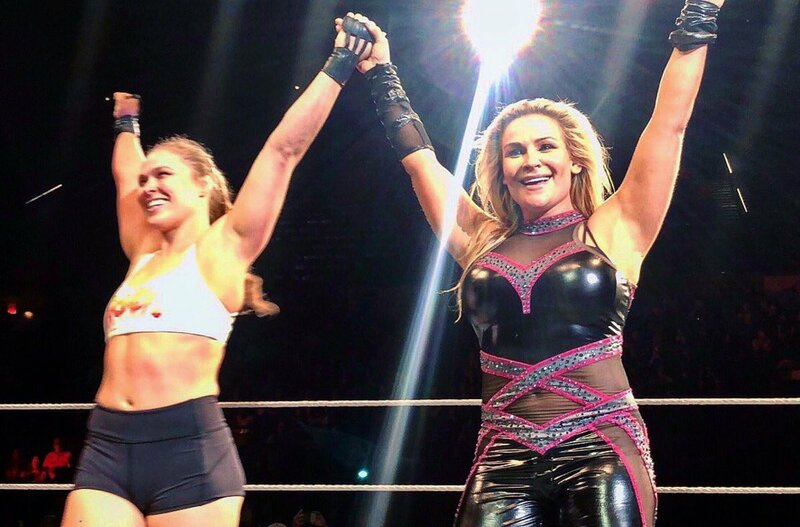 Rousey finally got the hot tag to a big reaction. She entered and hit strikes and throws on Fox. Bliss came in the ring, but Natalya cut her off. Rousey hit her Samoan drop-esque move on Fox and submitted her with an armbar. Rousey was in for less than a minute after being tagged in. Roman Reigns had last night off but is booked on the rest of this weekend's shows. McIntyre was ejected from ringside during the match. Ziggler used a steel chair for the disqualification, but Rollins fought back and hit the Curb Stomp after the match.